If you are contemplating ending your marriage, it’s important to consider the long-term personal and financial impacts. Your divorce settlement will affect you and your children for many years to come. This is why it is critical to retain a divorce lawyer who will understand your circumstances and needs, and who will have the experience and skills to represent you in all aspects of the divorce process. At our firm, we have decades of experience representing clients in divorce, and seeking to obtain for them their objectives concerning property division, custody, and other matters. We would invite you to call us to learn more about our representation. 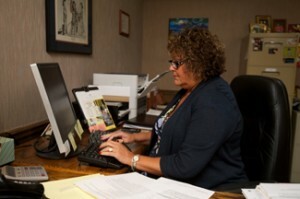 We offer a free initial phone consultation with a partner, and you are under no obligation to use our firm. The following are a list of questions that we urge clients to consider when considering a divorce and when choosing an attorney to represent them. Evaluating Your Needs and Objectives – How Complicated and Contentious is Your Divorce Likely to Be? Do you expect that you and your spouse will agree to an uncontested divorce or mediation? Or has your relationship deteriorated to the point that you expect the divorce to be bitter and contentious, requiring a more aggressive approach from your attorney? Are your financial affairs fairly simple? Or do you have complex property holdings and child support goals, requiring a lawyer with sophisticated tax and financial experience to help you design a plan for a satisfactory settlement? What Experience, Law Firm, and Lawyer Personality Will Be Best for You? Knowledge. The law firm should have the knowledge to guide you through the complex calculations, financial disclosures, and legal issues involved in a divorce case. Experience. Your attorney should have the experience and the skill needed to deal with custody, support payment, and parenting time/visitation issues. Versatility. The law firm should be equipped to work with you whether your financial affairs are simple or complex. Sometimes divorce proceedings that start out friendly become hostile when the parties cannot agree on significant issues. You need an attorney who is able to shift strategies to meet challenges if they arise. Personalized attention. Your attorney should work with you personally, instead of having you talk to automated phone prompts. Commitment. The law firm should be committed to returning calls and explaining the legal process to you every step of the way. Creativity. Often the ability to develop creative solutions will be the key to successful property, custody, and other resolutions, and to avoid trial. 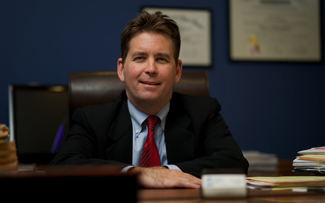 Our firm has the versatility, knowledge, and experience to guide you through your divorce. We respond to phone calls and emails promptly, and have more than one attorney available in the event that an emergency arises in your case. Our law firm was founded over 50 years ago, and our current law partners each have more than two decades of legal practice, enabling us to handle both simple and complex divorce cases. We have been awarded an AV® Preeminent™ Peer Review rating by Martindale-Hubbell, which that company identifies as attorney with very high to preeminent legal ability.